Acts 4:12 Salvation is found in no one else, for there is no other name under heaven given to mankind by which we must be saved. Many in the bible thought that John the Baptist was the Messiah. The masses had always heard that the Messiah will come in the form of a man but most envisioned him to come and go in a grand manor. None of which happened. Jesus was born to Mary & Joseph. He had a childhood as most except some records indicate that he did use his Godly power to turn a clay pigeon into a real bird. And caused a bully's mother to die. These are not in the Bible but of written record. Once becoming a man, he taught, he healed and he fed many a man. He died in a suffering manor and took the pain like that of a man. All to symbolize to the world who he was and to whom he made a way for. So says the verse above. Jesus died for our sins. 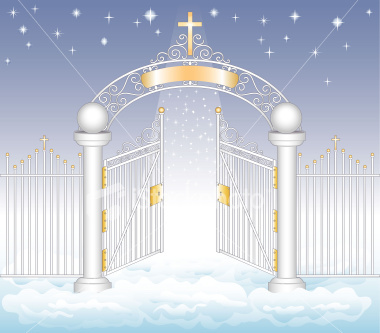 There is no other way man can enter the gates of heaven. We are eternal sinners and God had to have a way for his creation to be accepted through those gates.